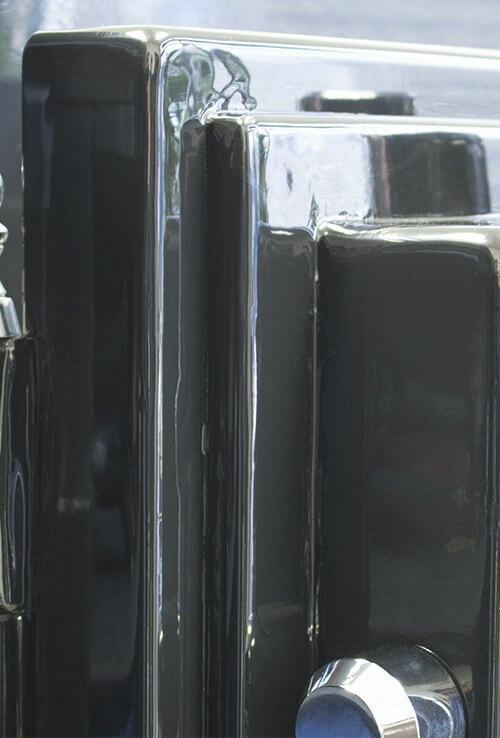 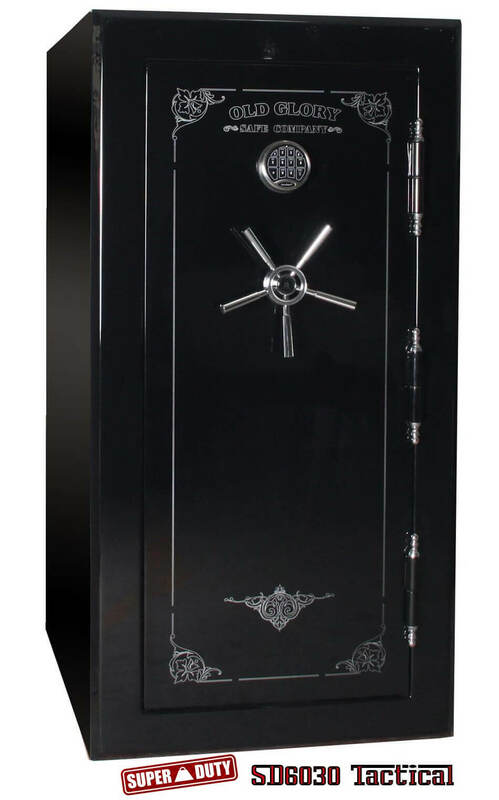 As for Premium Heavy-Duty Gun Safes, the 1st Class Steel built SD Series has all that the 5 star rated SD Series 24 Gun 2-Hour Fire Gun Safe offers plus the new advanced DOUBLE STEP SUPER-DUTY Door with double gaskets including everything we offer all rolled into a great choice for Gun Storage and Fire Protection unlike any gun safe ever created before it. 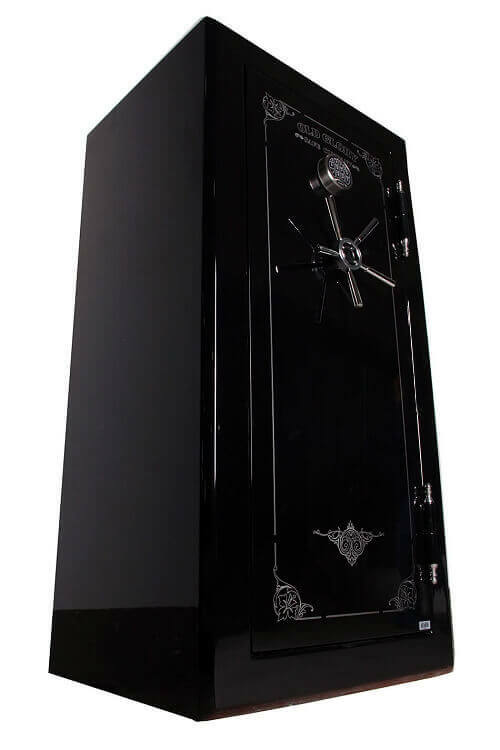 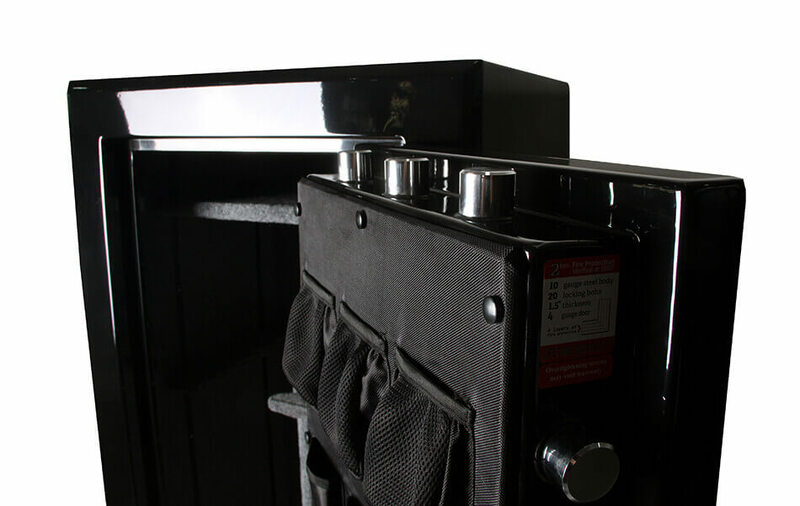 This SD Series SUPER-DUTY Gun Safe by the Old Glory Safe Company is made of 100% Premium Materials including 9 gauge cold rolled steel and continuously welded uni-body construction for superior theft deterrence and long-lasting durability. 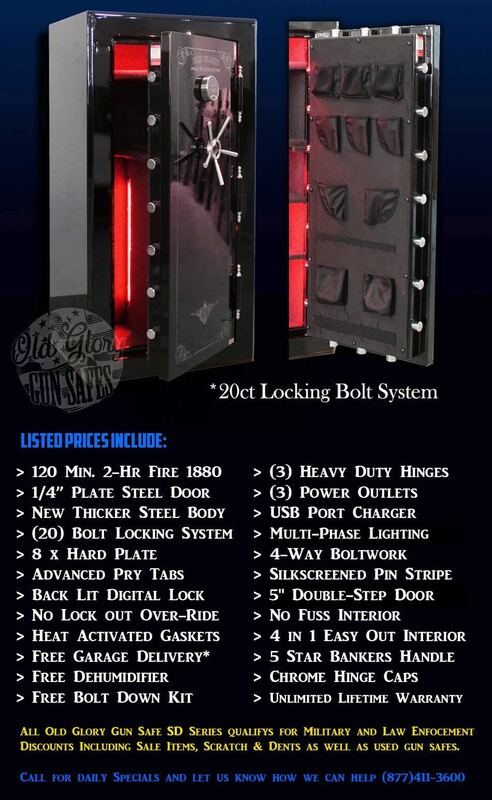 The SD Series 24 Gun 2-Hour Fire Gun Safe has special locking features with top security in mind, to give you a gun safe to be usable and secure for your daily gun safe needs. 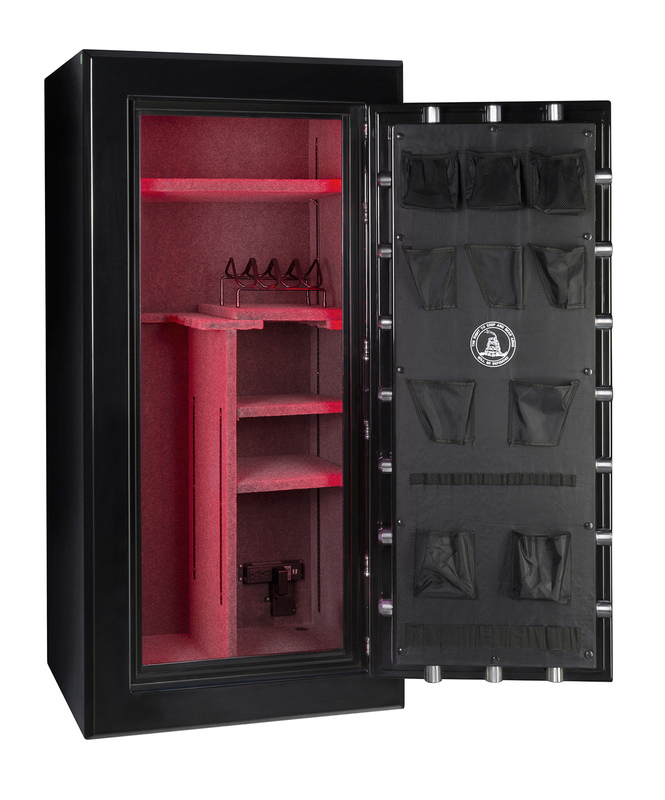 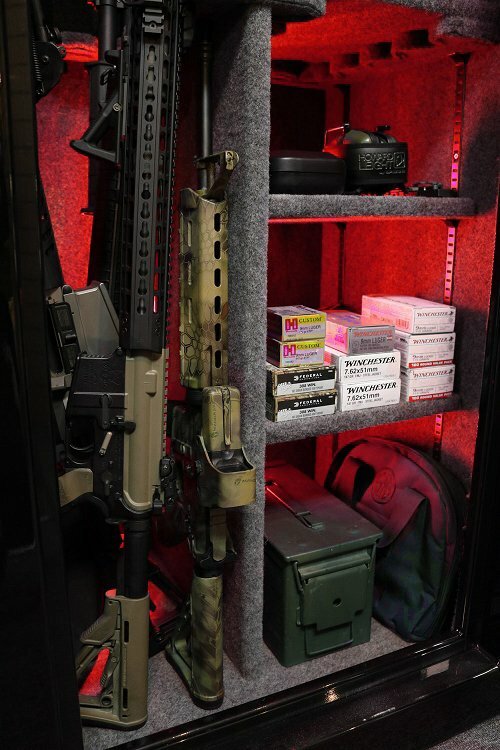 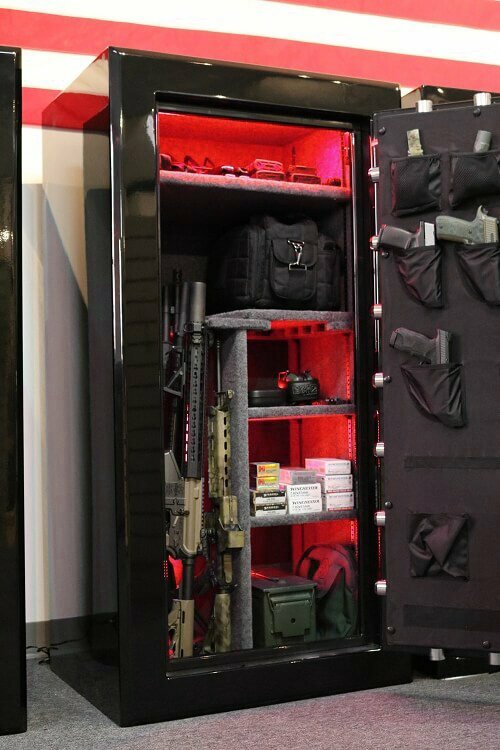 Finally, your new gun safe offers premium features that will elevate the way you use your safe with multi-phase lighting with remote and advanced no lockout over-ride features. 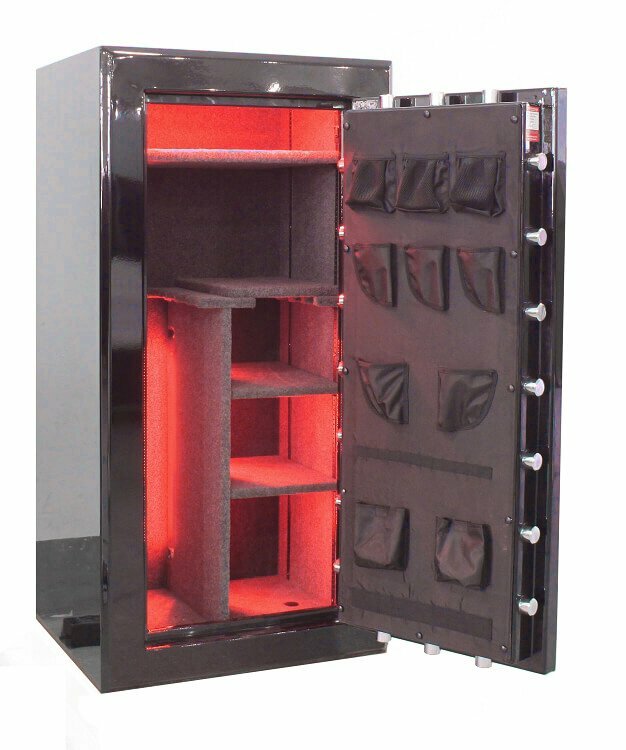 Recent Gun Safe Comments "Best Gun Safes we have ever used" "A Breeze to use" "Heavy-Duty"
All Premium upgrades listed below included FREE - Limited Promotion with purchase of SD Series Gun Safe. 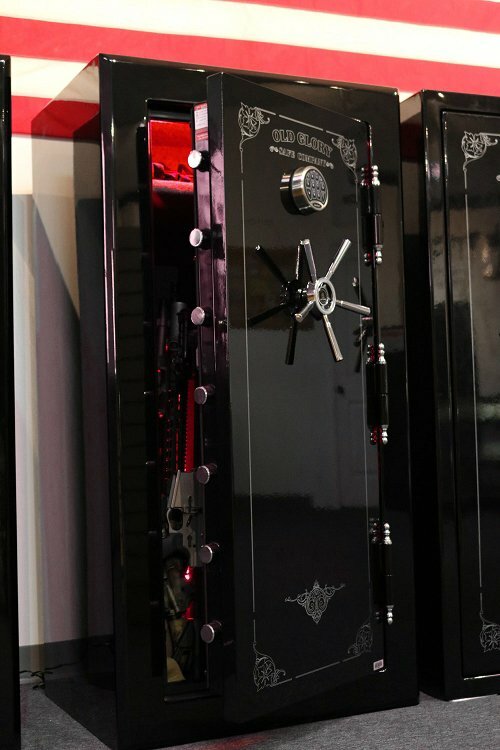 Received my safe last week and I love it! 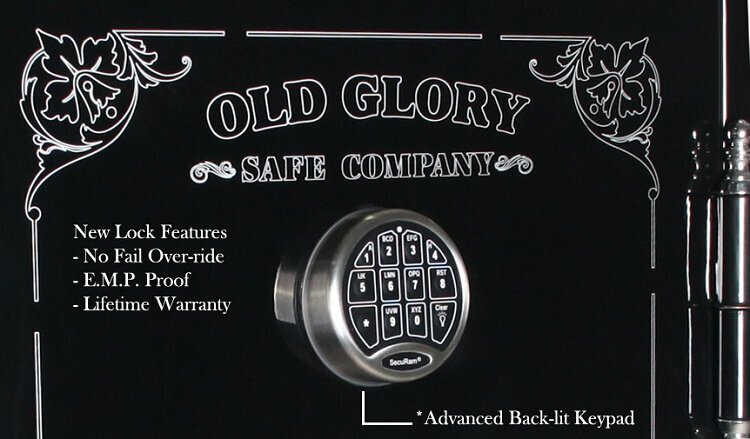 Incredible quality at a great price! 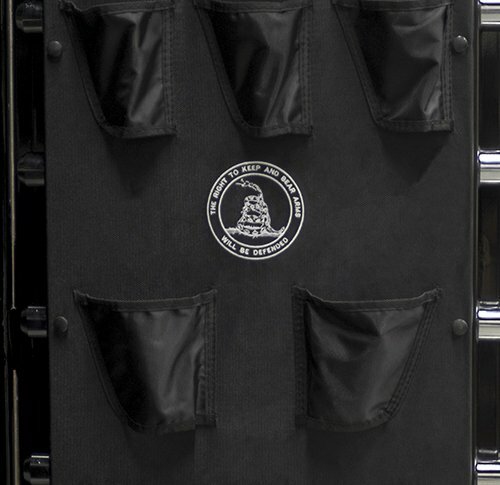 I highly recommend Old Glory Gun Safes!